1 What is Kinsta Web Hosting? What is Kinsta Web Hosting? Web hosting services are an integral part of the internet. Nowadays, there are many web hosting companies in the market. Kinsta is one of those companies and in a little time, it has become one of the key players in this industry. Therefore, we decided to write this Kinsta reviews to provide insight into the Kinsta performance. Creating, managing, updating, and optimizing websites in today’s fast-paced digital landscape is far from easy, especially when one must simultaneously bolster their website’s actual content, including shopping products, videos, blog posts, and more. That’s where brands like Kinsta come in. Founded in 2013, Kinsta has quickly become the trusted WordPress hosting team for a sizable number of customers—both large and small in scope, from single persons to multinational companies—around the globe. Kinsta’s expert team works around the clock, as it boasts offices in America, England, and Hungary, and world-renowned brands such as Ubisoft, General Electric, and Intuit already make use of the company’s offered services. To help potential customers determine whether or not Kinsta is right for them, let’s take a look at the ins and outs of the company’s provided services! Kinsta is a one-stop WordPress hosting provider that allows all sorts of individuals, businesses, and organizations to maintain slick and easy-to-use websites while still having time to focus on their specific professional goals. In other words, by doing what they do best—crafting and maintaining websites—Kinsta Hosting allows clients to do what they do best. So for those who are new to Kinsta, let us briefly discuss the basics. Kinsta is a web hosting company dedicated to WordPress Hosting which was developed by Mark Gavalda. It allows the users to maintain the website pages by offering services such as providing you with a platform for organizing software updates, managing the WordPress installations and so on. Kinsta has shown a considerable growth trend, and that is why it has acquired lucrative customers. First, Kinsta has a WordPress hosting plan for each and every interested individual. Plans start at just $30 per month, and include WordPress installations, coverage for a specified number of monthly visitors (or the equipping of a website with the ability to handle a designated monthly visitor count), variable SSD storage (or the storage of pertinent behind-the-scenes website data), optimized loading times, Google Cloud support (for the simple transfer and storage of data), global location options (so that one’s website can be hosted in a country closest to that which most of its visitors are from, to speed-up loading times), complex website support (or assistance in creating and maintaining multifaceted websites), 24/7 live support, SSL certification, and much more. 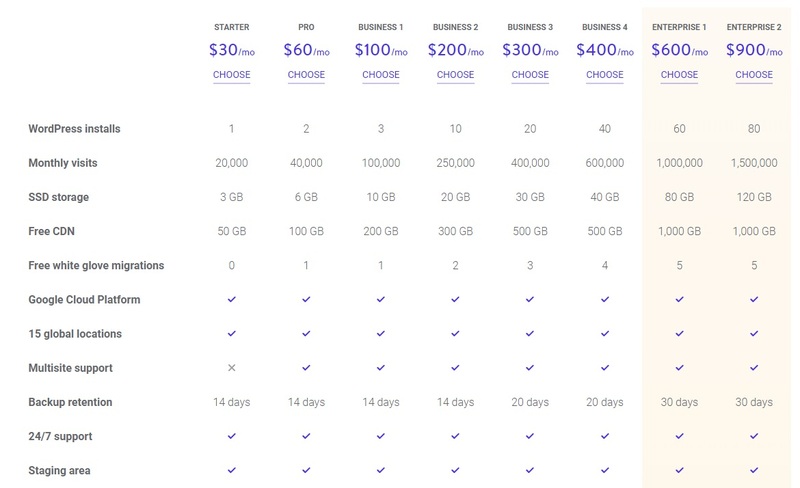 As was mentioned, Kinsta’s affordable hosting plans start at $30 per month—an introductory package that’s ideal for individuals who’re just getting their website started. Another Pro subscription after that provides enhanced website capabilities for individuals and groups (and allows these websites to handle and support more visitors), as do business subscriptions above that, and enterprise subscriptions above that. The short of Kinsta’s hosting plans is that, as has been stated but must be emphasized, there is something for everyone to choose from, from the hobbyist to the famous company. Furthermore, the provided services are second to none. 24/7 live support is well and good, but if this support isn’t helpful, it becomes more of a burden to clients than anything else. Kinsta’s customer support is excellent, as is its WordPress website building and installation, and data storage, and website updating, and so on. The quantity of the services offered by Kinsta is impressive, but more impressive yet is the irrefutable quality of these services. 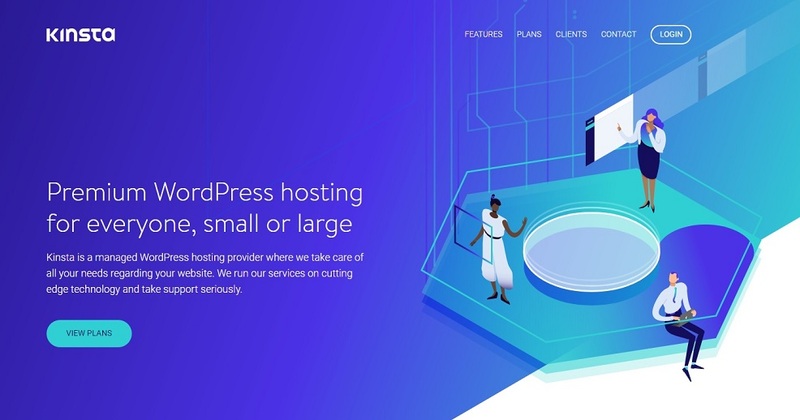 Throughout this review, it’s been emphasized that Kinsta is a one-stop WordPress hosting powerhouse; that the company is able to better build and maintain websites on WordPress than nearly all others, and that these unique abilities have produced a body of satisfied clients. This emphasis is both intentional and true, as Kinsta prides itself on being well-versed in all walks of WordPress. However, it should also be mentioned that customers need not require ground-up WordPress services to consult the company. On the contrary, clients with specific requests, including one-time web hosting or optimization questions and concerns, are also quickly and effectively helped by the caring Kinsta team. It doesn’t matter if one needs a website built, repaired, or altered ever so slightly; Kinsta is the way to go. In our humble opinion, perhaps the biggest competitive edge which Kinsta has over its rivals is their support staff and Google cloud platform. Kinsta is optimized for WordPress hosting. Some users might argue that the dashboard is not as user-friendly as WP Engine. However, Kinsta uses all the latest technology including PHP7, HTTP/2, Google Cloud and so on. This gives it a considerable speed advantage over WP Engine. Free data migrations can take a lot off your plate as it is one of the toughest tasks of WordPress Hosting. WooCommerce has now become the real deal, and many people prefer to buy stuff online. Thus there is great potential for growth if you host the online stores. However, in order for your idea to be successful, the website has to invoke confidence in the customer. Therefore, you would need your site up and run at all times at optimum speed. This is where Kinsta can provide you solutions. Armed with developer-friendly features such as NGIX, SSH, and Github, etc. Kinsta can make your WooCommerce experience worthwhile. Not only can you enjoy the free data migration but also you can rest assured that all the data is being back up regularly. Having a short loading time for your stores is important. This is because slow loads can result in revenue drops, fall in SEO rankings and customer dissatisfaction. Therefore the WooCommerce powered store can really perform well on Kinsta WooCommerce optimized hosting plan. It was briefly noted earlier in the review (specifically to attract the attention of readers who like to skim!) that Kinsta’s customer service is unparalleled. This claim is certainly true, but it doesn’t do the offered support justice, as it truly helps clients enjoy the most stress and hassle-free possible experiences. Twenty-four hours per day, seven days per week (a rigorous schedule implemented to satisfy the needs of a global clientele), one can contact Kinsta through an email form or live chat with any questions, concerns, or comments he or she may have. The company’s team members—who it seems are better-trained than support employees of most other businesses to deal with a problem’s unexpected twists and turns—are reliable, efficient, and importantly, able to refer customers to other support professionals if necessary, as opposed to fumbling through an unfamiliar issue themselves. Too often today, support employees who’re well-versed in one area will act as though they’re well-versed in another, to the detriment of the customer. That’s not the case at Kinsta. We have already touched upon this in the previous section, but we figured that this deserves a special mention. Kinsta prides itself for its responsiveness support. The customer service team at Kinsta comprises of an expert team that has years of hands-on experience working with WordPress. New customers often look for help regarding data migrations and troubleshooting. The support team is available 24×7, and every time there is support staff available for a live chat session or a telephone call. This is an important aspect of customer support and Kinsta understands it well. To accommodate foreign customers, multilingual support is available. Furthermore, the knowledge base is well equipped and provides some valuable insight regarding all matters related to web hosting. Besides Kinsta, another web hosting company that is serving excellent customer support is SiteGround. Here is my full conversation with Kinsta ticket support. Q: Is Kinsta Hosting provides free SSL service? How about paid SSL solutions? A: We provide free SSL for your sites and we support all paid SSL services as well. You can add Let’s Encrypt’s SSL certificate from the Kinsta dashboard. Q: How about Domain Privacy Protected Service? If yes then free or paid? A: We do not offer domain registration. You need to ask for this at your domain registrar service. 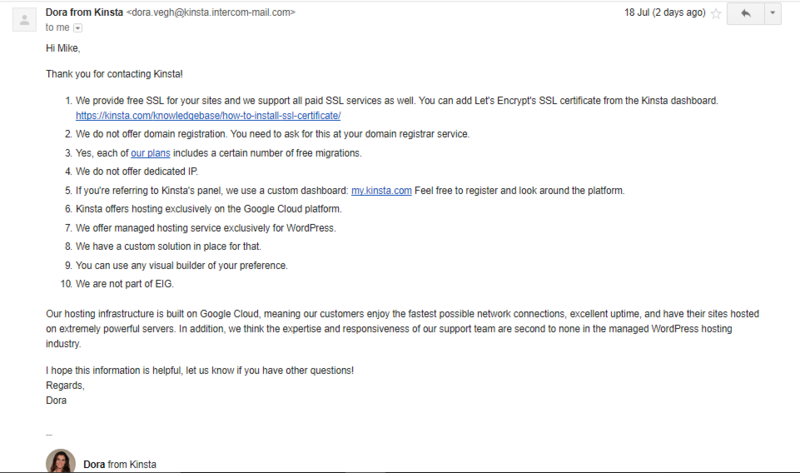 Q: Is there any Free Site Migration Service? A: Yes, each of our plans includes a certain number of free migrations. Q: Is Kinsta Hosting offers Dedicated IP solution? A: We do not offer dedicated IP. A: If you’re referring to Kinsta’s panel, we use a custom dashboard: kinsta.com. Feel free to register and look around the platform. A: Kinsta offers hosting exclusively on the Google Cloud Platform. Q: Are the Kinsta hosting plans optimized for Content Management System like Joomla, Drupal and Magento? A: We offer managed hosting service exclusively for WordPress. Q: What platform is the Kinsta Hosting using to support One-Click installation? Softaculous? A: We have a custom solution in place for that. Q: Any Website Builder tool offered? A: You can use any visual builder of your preference. Q: Is Kinsta Hosting part of Endurance International Group(EIG)? A: We are not part of EIG. Additional Information provided: Our hosting infrastructure is built on Google Cloud, meaning our customers enjoy the fastest possible network connections, excellent uptime, and have their sites hosted on extremely powerful servers. In addition, we think the expertise and responsiveness of our support team are second to none in the managed WordPress hosting industry. One of the major factors that contribute to customer satisfaction is the uptime. No website owner wants their websites to go down frequently. Similarly, slow loading speed is also an issue. Hence, speed is also a parameter to be monitored. Server status, or in the context of web hosting, the present state of the technology required to keep a website live, and uptime performances, or how frequently a website is forced offline by unexpected issues (and how long it stays online), are pertinent details of every web hosting company, and customers should be aware of them (or simply aware of their quality) before committing to a service. As per the customer reviews, Kinsta has excellent uptime percentage and speed. Websites hosted by Kinsta rarely go offline or encounter server issues, and when these issues are encountered, they’re promptly and effectively resolved. After reading some negative reviews about Kinsta uptime performance, I decided to check their performance on my own. This company guarantees to provide 99.90% of uptime performance to its all clients. I gathered their uptime stats of 10 months. They achieved the all target in the 10 months which is quite good. The overall average of this company is 99.98% which is really outstanding if we compare it with many other diverse hosting companies. I will definitely recommend this hosting company keeping in view their excellent uptime performance. 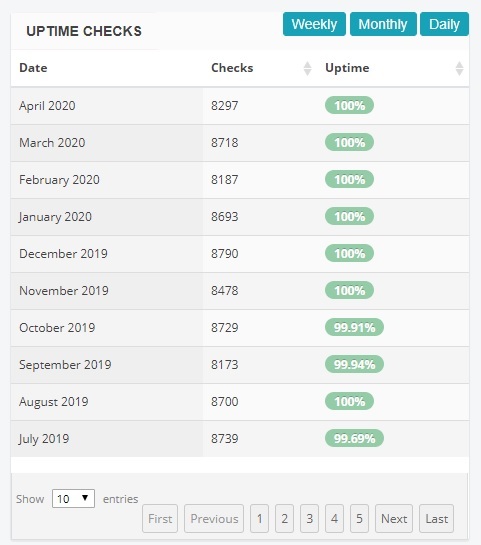 Note: Latest updates on all Kinsta Hosting uptime stats performance are available on our website so stay tuned. The server speed of any website plays a significant role when it comes to select any hosting company. Kinsta Hosting privileges to offer quick server speed so I decided to check whether they are saying true or not. I pinged one of the websites hosted on Kinsta from diverse locations and I got a good server response speed. Overall rating of Kinsta comes out as A. No matter whether your business is small or big, anyone can rely on this hosting company as it is better from many other companies. As this review highlights, Kinsta Hosting is phenomenal. For a monthly fee, anyone in the world can develop and put to use a website that’s right for their (or their business or company’s) wants and needs. The quality of the provided services is high and the customer support is simply excellent. Throughout the course of this article, we have discussed some of the salient features of Kinsta. As far as customer support and uptime levels are concerned, Kinsta is unparalleled. Not only that, but it is also equipped with the latest technology like Google Cloud, NGIX, SSH, and PHP7, etc. The business and enterprise plans allow the customer with great flexibility along with SSD storage, automatic backup, and bandwidth, etc. Although Kinsta is more expensive than some of the other options available in the market, it is still well worth its price tag. Take a step towards owning the website of your dreams tomorrow by contacting a Kinsta Hosting professional today! 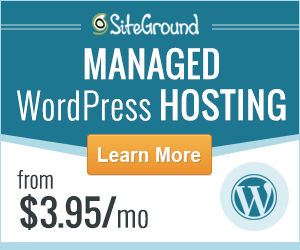 If you are looking for a cheaper web hosting solution with great performance, we would recommend SiteGround and HostGator. Compare Kinsta With Our Top Ranked Web Hosts!